'This book has one of the most charismatic narrators I've ever met' J. K. Rowling. Thanks to Cora Linn at Tea Party Princess for giving me a copy of this wonderful book! I will never forget your kindness. There are two kinds of classic books: the ones where it's hard to understand why they lived through the test of time, and the ones where you get why they do because how could they not? I Capture the Castle fits neatly into the second category. I'd go as far as to say that this is one of the best classics I have ever read. This coming-of-age tale tells the story of the eccentric, poverty-stricken Mortmain family through the eyes of Cassandra, the younger sister whose literary ambitions take her to record her family's and her lives in journals. The book itself begins when the older daughter, Rose, flings herself upon a devilish looking statue and says she'll strike a deal with Satan himself if that will deprive them of their misery. Perhaps her longing was heard then, for not much later, two wealthy American boys enter their castle for assistance with their car. One of them even has a ghastly beard and a shadow that looks like the devil's. When Rose decides she will do all it takes to love and be loved by one of them, it is up to Cassandra to help her sister in her endeavour, while trying to keep her family as close to sanity as possible and the house standing. There are no words to describe this book. Whimsical, atmospheric, witty, charming, and unique would not even begin to cover it. Indeed, I am tempted to say "just read it" and leave it there. Nothing I write here will suffice, but I will try to weave a few sentences at the very least. One could be tempted into thinking this is a cliché, romance story by the synopsis alone. Yet it is anything but that. The romance for Cassandra comes only much later in the book, and it is not even the most important part of it - if there even is one exclusive main point to the book, which I don't think there is. Indeed, the story deals with life in general, both the good and the bad of its many parts. Family, friends, wealth, poverty, dreams, ambitions, misjudgements, love, religion, art, disappointment, madness, memories, growing up, and so much more. What's more, it's not just Cassandra who lives through so many of life's facets. All characters do to one point or another, only making them ever more real. I'd go as far as to say that, along with the beautifully witty language, the characters are one of the books strongest point. They are all different, eccentric in their own ways, but despite their differences, the families still share traits that show their common path. This is also reflected in their relationships, none of which are black and white, all of which are nuanced in a variety of ways. Their growth too is palpable. Not one person is the same at the end of the book as in its beginning. This is particularly true of Thomas, whom Cassandra herself can barely recognise at the end of the book, which may say more of the two siblings than of Thomas alone. The story itself is remarkable as well. Plenty of books that deal with the daily lives of their characters become dull only too quickly. This was not the case. Despite the existence of plenty of simple days, every journal entry was fresh with not a single dispensable word. I Capture the Castle made me laugh, smile, and tear up. It made me believe I was in an old English castle in the 20th century, and feel confused whenever I looked away from the book and found myself in the 21st century instead. It made me feel the warmth of a bonfire and the cold pattering rain. 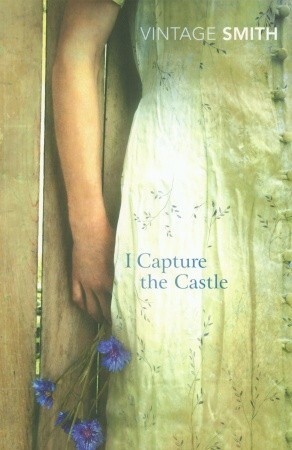 I Capture the Castle is more than a book or a classic. It's a friend I will gladly read again and again.